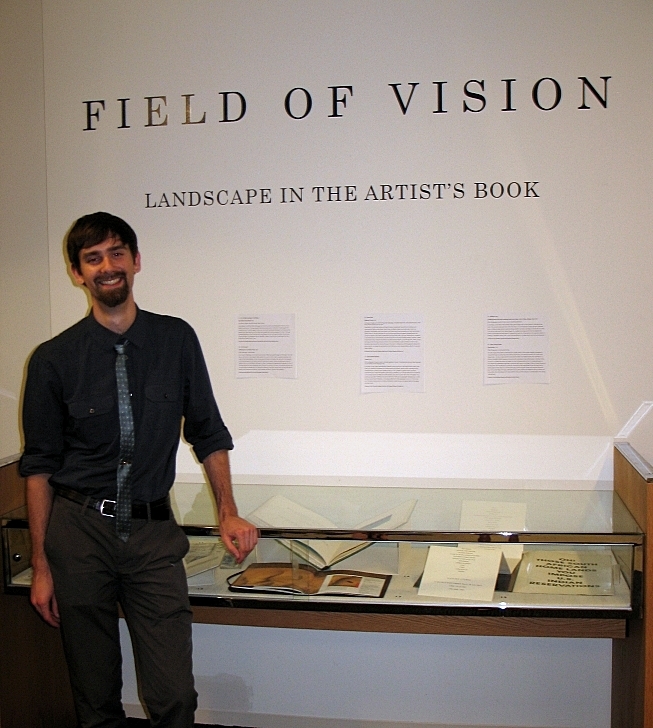 During the ten weeks Tim was at the Smithsonian, he was kept busy researching online access tools for artists’ books, researched titles for acquisition, researched books in the libraries’ collections, and visited many DC-area artists’ book collections. He also will be posting a blog here as well about his research and projects. 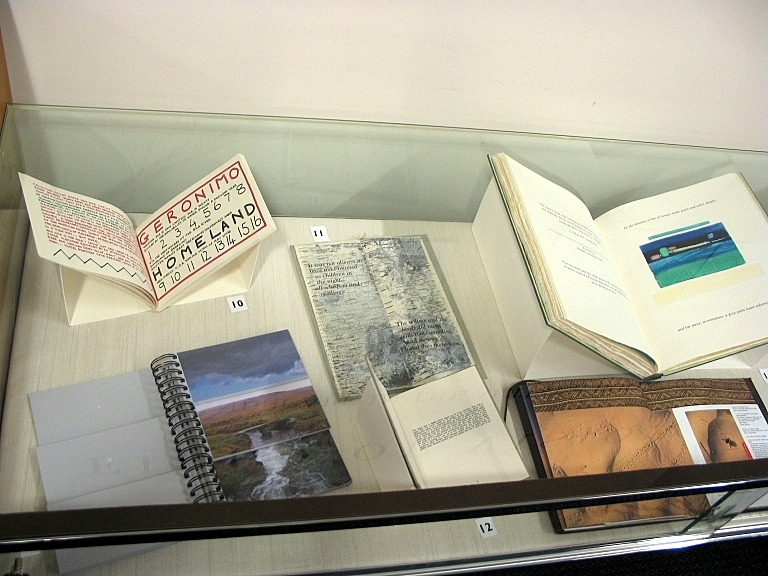 Tim also put together an exhibition of sixteen artists’ books pulled from the three libraries’ collections. He worked with staff from the National Museum of the American Indian to install additional displays and with the Smithsonian Libraries’ Preservation Services to learn how to create book mounts. The exhibit titled “Field of Vision: Landscape in the Artists’ Book” was assembled in the AA/PG Library and an opening was held on August 8 that was attended by over sixty visitors from both the Smithsonian and the local community. 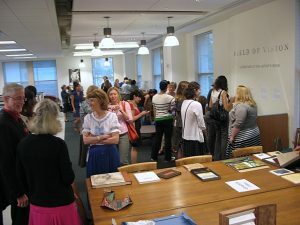 In addition to the works on display, visitors were also able to explore other artists’ books from the libraries. Thanks to Tim’s hard work, the exhibit was quite crowd pleasing with many commenting on the wide range of material on display. 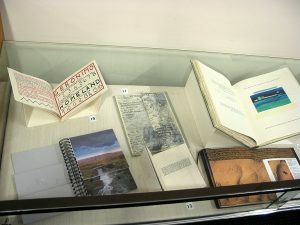 Focusing on the idea of landscape in the medium of artists’ book, Tim explores how book artists interpret this theme by using examples drawing from each of the three art libraries. The exhibit will be on display through the end of the year at the AA/PG Library and can be visited during regular library hours.